When Ronald Reagan took office, he was facing an economic downturn similar to the one our country is currently experiencing. Key members of Reagan’s staff prepared an Initial Actions Project, which takes every branch of government, including Congress, into consideration, and offers a clear and concise blueprint of how Reagan’s economic policies were achieved. As a model for President Obama, who is dealing with the daunting demands of a nation in turmoil, the significance of this report has never been more timely. History proves that President Reagan’s policies led to economic growth; will President Obama overturn this invaluable legacy? Only time—and history—will tell. 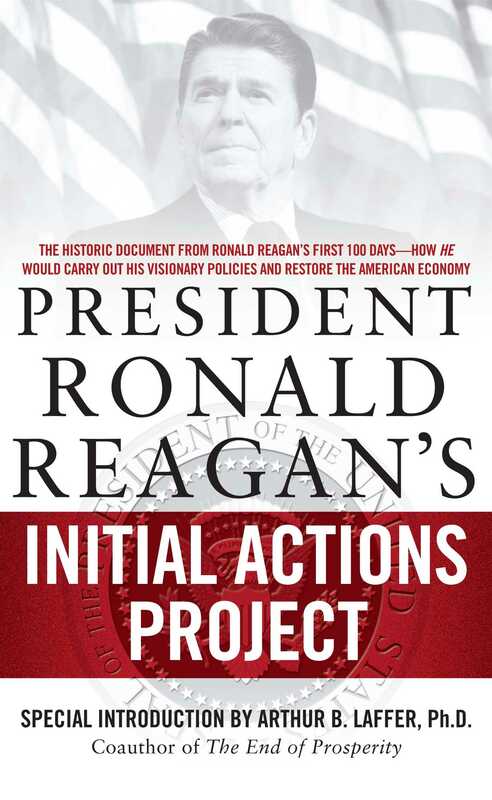 Featuring a special Introduction by Arthur B. Laffer, who also worked in the Reagan White House, President Ronald Reagan’s Initial Actions Project puts the IAP action plan in perspective and provides valuable insight into the most important economic issues of our time.